News is spreading throughout the kingdom: the prince will choose his bride at the Spring Ball. Cinderella is left behind as her stepmother and stepsisters hurry to the ball in the hopes of catching the prince’s attention. 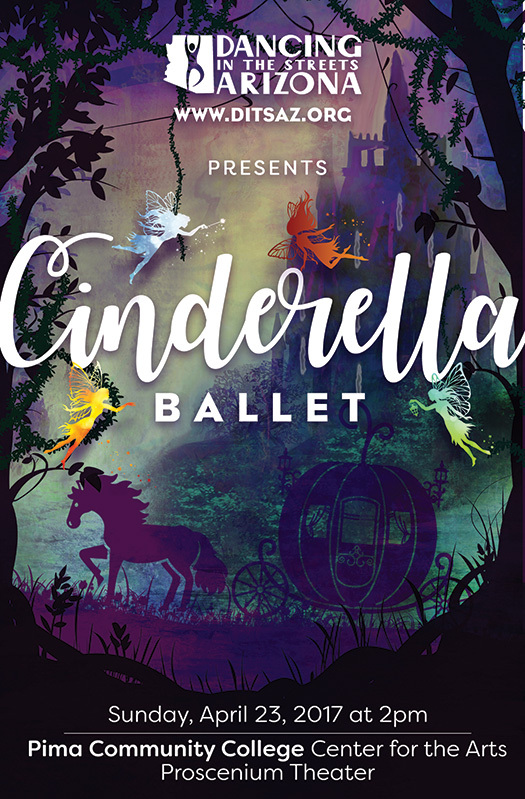 Sad and alone, Cinderella is surprised by a visit from her fairy godmother who transforms the girl into the most beautiful young lady in the kingdom. At the ball, this unrecognizable beauty captures the heart of the prince. Fleeing from the ball at the stroke of midnight, Cinderella leaves a heartbroken prince and a single slipper in her wake. Slipper in hand, will the prince ever find this captivating stranger who holds his heart?